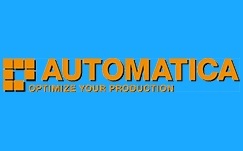 The Automatica is recognized as a highly prioritized international industrial control & automation technology exhibition. 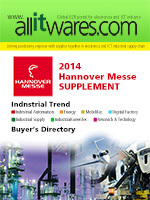 Organizing by Messe Munchen GmbH, the event will be held at New Munich Trade Fair Centre, Bayern, Germany. It focuses upon updating manufacturers requirements in adopting latest production methods etc. Visitor profile includes Presidents, Managing Directors, and CEOs, Plant Managers, R & D, Project Design Engineers, Business Managers, Purchase Managers, Manufacturers and Dealers, Consultants and Contractors, Railways, Defence, Power, telecommunication, Fertilizers, Chemicals & Petro-Chemicals, Refineries, Cement Plants- BARC Decision Makers, Institutions related to the Industry. Profile for exhibit includes Process Measurement & Control Systems, Analytical Instruments, Environment & Pollution Control Instruments, Electrical Measuring Instruments & Systems & Test & Measuring Instruments.